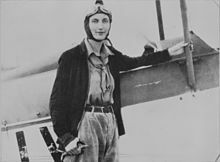 Beryl Markham (née Clutterbuck; 26 October 1902 – 3 August 1986) was a British-born Kenyan aviator (one of the first bush pilots), adventurer, racehorse trainer and author. She was the first person to fly solo, non-stop across the Atlantic from east to west. She wrote about her adventures in her memoir, West with the Night. Markham was born in the village of Ashwell, in the county of Rutland, England, the daughter of Charles Baldwin Clutterbuck, an accomplished horse trainer, and Clara Agnes (née Alexander) Clutterbuck (1878–1952). She had an older brother, Richard Alexander "Dickie" Clutterbuck (1900–1927). When she was four years old, she moved with her father to Kenya, which was then colonial British East Africa. He built a horse racing farm in Njoro, near the Great Rift Valley between the Mau Escarpment and the Rongai Valley. Markham spent an adventurous childhood learning, playing, and hunting with the local children. On her family's farm, she developed her knowledge of and love for horses, establishing herself as a trainer at the age of 17, after her father left for Peru. Adventurous, independent thinking, and beautiful, Markham was admired and described as a noted non-conformist, even in a colony known for its colourful eccentrics. She was married three times, taking the name Markham from her second husband, the wealthy Mansfield Markham, with whom she had a son, Gervase. She had a public affair in 1929 with Prince Henry, Duke of Gloucester, the son of King George V, but the Windsors allegedly cut the romance short. She also had an affair with Hubert Broad, who was later named by Mansfield Markham as a co-respondent in his 1937 divorce from Beryl. After her Atlantic crossing, she returned to be with Broad, who was also a great influence in her flying career. She befriended the Danish writer Karen Blixen during the years that Baroness Blixen was managing her family's coffee farm in the Ngong hills outside Nairobi. When Blixen's romantic connection with the hunter and pilot Denys Finch Hatton was winding down, Markham started her own affair with him. He invited her to tour game lands on what turned out to be his fatal flight, but Markham supposedly declined because of a premonition of her flight instructor, British pilot Tom Campbell Black. She also mingled with the notorious Happy Valley set. When Markham decided to take on the Atlantic crossing, no female pilot had yet flown non-stop from Europe to New York, and no woman had made the westward flight solo, though several had died trying. Markham hoped to claim both records. On 4 September 1936, she took off from Abingdon, southern England. After a 20-hour flight, her Vega Gull, The Messenger, suffered fuel starvation due to icing of the fuel tank vents, and she crash-landed at Baleine Cove on Cape Breton Island, Nova Scotia, Canada. She became the first person to make it from England to North America non-stop from east to west and was celebrated as an aviation pioneer. Markham chronicled her many adventures in her memoir, West with the Night, published in 1942. Despite strong reviews in the press, the book sold modestly, and then quickly went out of print. After living for many years in the United States, Markham moved back to Kenya in 1952, becoming for a time the most successful horse trainer in the country. Intrigued, Gutekunst read West with the Night and became so enamored of Markham's prose that he helped persuade a California publisher, North Point Press, to re-issue the book in 1983. The re-release of the book launched a remarkable final chapter in the life of the eighty-year-old Markham, who was lauded for her three final years as a great author as well as flyer. When found in Kenya by AP East Africa correspondent Barry Shlachter, Markham was living in poverty. She had recently been badly beaten during a burglary at her house near the Nairobi racetrack, where she still trained thoroughbreds. The success of the re-issue of West with the Night provided enough income for Markham to finish her life in relative comfort. Earlier, she had been supported by a circle of friends and owners of race horses she trained into her 80s. The book became a surprising best-seller, spurred by the 1986 broadcast of a public television documentary about Markham's life, World Without Walls: Beryl Markham's African Memoir, produced by Gutekunst, Shlachter, Joan Saffa, Stephen Talbot and Judy Flannery in collaboration with KQED-TV in San Francisco. Gutekunst and Shlachter had approached the station to co-operate on the documentary, directed by Andrew Maxwell-Hyslop. British actress Diana Quick was the voice of Markham in readings from her memoir and Shlachter conducted the interviews. CNN Africa correspondent Gary Streiker did the filming for the well-reviewed, award-winning PBS program. Markham died in Nairobi in 1986. Her short stories were posthumously collected in The Splendid Outcast, with an introduction by Mary S. Lovell. A tale from West with the Night was excerpted and illustrated by Don Brown as a children's book, The Good Lion. In 1988, CBS aired the biographical miniseries, Beryl Markham: A Shadow on the Sun, with Stefanie Powers in the title role. Critics raised questions as to whether Markham was the true, or sole author of West with the Night, when her ex-husband made claims to the book. Evidence abounds that she was indeed the sole author; copies of the manuscripts sent to her editor prior to Beryl meeting her ex-husband quickly silenced the critics and his claims. Criticism of this sort was often made of women writers during a time of little respect for a woman's success. Author Mary S. Lovell visited Markham in Nairobi and interviewed her extensively shortly before Markham's death, in preparation for her biography, Straight On Till Morning (1987). From her research, Lovell concluded that Markham was the sole author, although Schumacher made some basic edits to the manuscript. Instead, Lovell suggests Antoine de Saint Exupéry, another of Markham's lovers, may have served as inspiration for Markham's clear, elegant language and storytelling style. In the film adaptation of Blixen's memoir, Out of Africa (1985), Markham is represented as an outspoken, horse-riding tomboy named Felicity (played by Suzanna Hamilton). 1986, a United States public television documentary about Markham's life, World Without Walls: Beryl Markham's African Memoir, was produced by Gutekunst, Shlachter, Joan Saffa, Stephen Talbot and Judy Flannery in collaboration with KQED-TV. Stefanie Powers portrayed her in a made-for-TV film called Beryl Markham: In The Shadow of the Sun in 1988. In the BBC-TV series, Heat of the Sun (1998), set in 1930s Kenya, the character of Emma Fitzgerald, an independent aviator played by Susannah Harker, appears to be modelled after Markham. A novel written by Paula McLain about Markham's life, Circling the Sun, was released in 2015. The International Astronomical Union has named the impact crater Markham, on the planet Venus, after her. ^ a b c Aschan, Ulf (1987). The Man Whom Women Loved. New York: St. Martin's Press. pp. 164–165. ISBN 9780312022495. ^ "Divorce Court File: 7428. Appellant: Mansfield Markham. Respondent: Beryl Markham..." nationalarchives.gov.uk. Retrieved 11 March 2016. ^ Shlachter, Barry, "A Life of Adventure Rediscovered: Beryl Markham's 1942 Book, Lauded by Hemingway, Reprinted," The Associated Press, "International Herald Tribune," 16 June 1983, Paris. ^ Mitgang, Herbert "The New York Times", 8 October 1986, and 5 November 1986 CORRECTION. "'World Without Walls,' About Beryl Markham". Shlachter, Barry, "A Life of Adventure Rediscovered: Beryl Markham's 1942 Book, Lauded by Hemingway, Reprinted," The Associated Press, carried by "International Herald Tribune," Paris, 16 June 1983. Trzebinski, Errol. The Lives of Beryl Markham. New York: W.W. Norton. 1993. ISBN 0-393-03556-5. Wheeler, Sara. Too Close to the Sun: The Audacious Life and Times of Denys Finch Hatton. New York: Random House. 2006. ISBN 978-1-4000-6069-6. 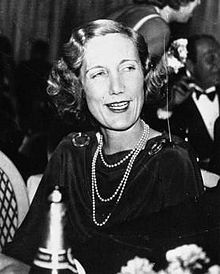 "Beryl Markham" page at www.karenblixen.com.